Point-of-sale machines: you don’t really think about them, do you? They’re just the little computers you use to key in your credit card PIN when you buy some fast food, or load up on groceries. For the most part, they’re drab, unremarkable pieces of technology. 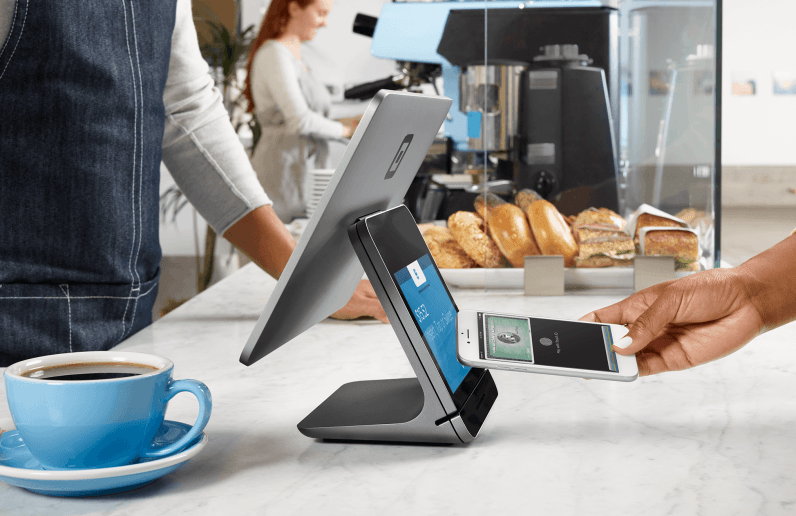 Square’s new point-of-sale machine, the Square Register, bucks that trend. It’s looks a bit like an iMac, and allows brick-and-mortar businesses to accept credit card payments securely. It also has a ridiculously overstated trailer. Check it out. I’ve long been a fan of Square — not least because it’s allowed me to pretty much never carry cash, at least when it comes to traveling within the US. Its product design is on-point, and it’s created some genuinely gorgeous hardware. Continuing this tradition, obviously, is the Square Register. Square has quietly road-tested the Square Register with a handful of Ben and Jerry’s locations, plus other hospitality chains, including Goa Taco, Cafe Grumpy, The Monster Cycle, Best Beverage Catering, and Drake’s (the clothes shop, not the Canadian R&B icon). The Square Register supports Wi-Fi, Ethernet, plus an offline mode. Software updates are performed automatically. It also includes a 5-port USB hub to attach peripherals, and supports contactless, mag-stripe, and ‘dipped’ card payments. Arguably though, the biggest selling point is that it’s “all-in-one.” There’s no need to pick up any third-party hardware, and it comes with Square’s software baked in. .